Learn about TrueRent’s property management software for businesses. Includes info on TrueRent, free trials, pricing, customer reviews, and FAQs. TrueRent is a property management platform for businesses. TrueRent’s solutions include online rent collection, recurring billing, and tenant screening. Businesses can use TrueRent to efficiently manage rental properties. TrueRent does not list pricing on their website as their pricing is determined by the number of properties that you want to manage. You can contact TrueRent to get a tailored quote based on your business needs. Pros: Excellent financial report generation and a fantastic rent roll feature. Cons: QuickPay ACH payment application takes about 5 days. Bottomline: Comprehensive and easy-to-use rental property management software. Is there a TrueRent free trial? A free 10-day trial is available here. You will need to furnish some personal and business details. No credit card is required. Where can I find the TrueRent login? You can go to www.truerent.com and find the “Login” at the top right corner of the homepage. What are some TrueRent alternatives? I have been using truerent for over a year now. I am happy with them their may be some features I would like to see that they do not have but for the cost I believe they are a very good option. 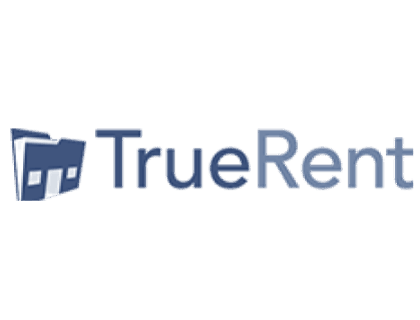 I have been using TrueRent for the last 6 months and I am happy with the software. Definitely the most affordable option out there while including all of the same features as other sites.